NFHS was established in 1994. Membership is open to all interested parties: individual members, institutions, companies etc. The society’s aim is to assemble, systemize and preserve our long and exciting history. There are currently approx. 195 members. The current Board: chair Liv Slettevold, co-chair Erik Andrew, secretary Holger Moe Tørisen, members Sissel Brinchmann and Wenche Aulie Olsen. Abstracts must be submitted online using the online form at the linked site below. Please provide all requested information. Abstracts may not exceed 500 words. The deadline for oral presentation submissions is 1 April 2019 and the deadline for poster presentation submissions is 1 May 2019. This year, the International Society for the History of Pharmacy is again awarding a research grant for 2500 Euro in total. Deadline for applications is August 31, 2018. According to its statutes, the “International Society for the History of Pharmacy” (ISHP) promotes research, teaching and publication in pharmaceutical history. Based on this, ISHP offers a grant to support research projects in pharmaceutical history with a truly international focus. 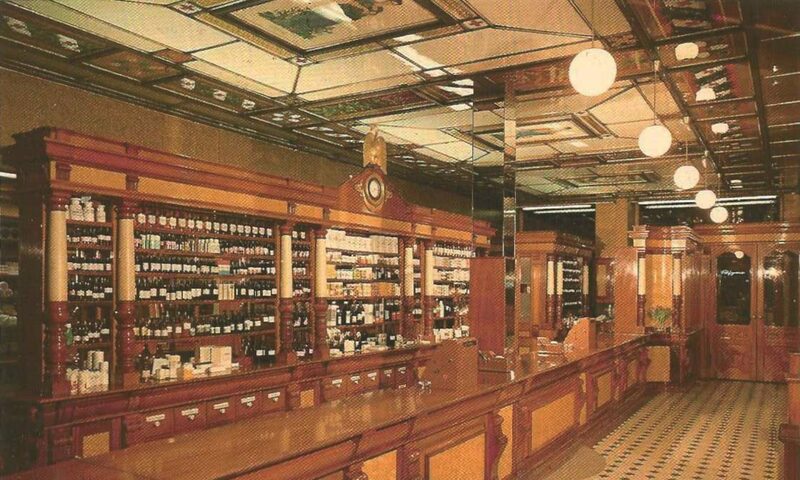 In early September 2019, historians and pharmacists from around the globe will gather at the Capital Hilton in Washington, DC, to discuss and explore pharmacy’s fascinating past. 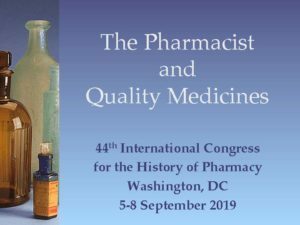 The 44th International Congress for the History of Pharmacy will address two interrelated themes: the history of the work of the pharmacist (i.e., pharmacy practice) and the profession’s effort to provide medicines of good quality. Scholars are invited to submit abstracts for podium and poster presentations that touch on these topics including the training, literature, and regulation of pharmacists or the social, scientific, technologic, or economic aspects of pharmaceuticals and the pharmaceutical industry. The venue: The Capital Hilton in downtown Washington will be the official hotel of the Congress. 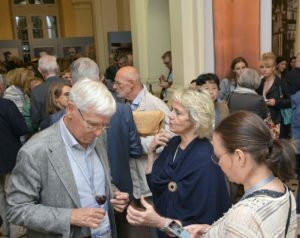 Det Internasjonale Farmasihistoriske Selskapet (ISPH) avholdt kongress nr 43 i Warszawa 12. til 15. september 2017. Fra Norge deltok fire personer som alle holdt innlegg. Du kan lese mer i referatet. Klikk på lenken i overskriften. Her finner du lenker til noen internasjonale tidsskrifter. 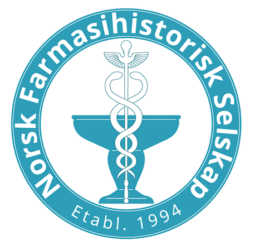 Det Internasjonale Farmasihistoriske Selskap (International Society for the History of Pharmacy – ISHP). Selskapet utgir en egen skriftserie, ISHP Newsletter. Denne finnes på nettsiden til ISHP. Se også oversikt over publikasjoner på egen side. Museumsguide med mange gode praktiske henvisninger og opplysninger. Hjemmesiden til det danske farmasihistoriske museum Pharmakon i Hillerød. Opplysninger om virksomheten og et stort bildearkiv fra samlingene. – bedrive museumsvirksomhet innen det farmasihistoriske området. Her finnes opplysninger om ISHP, oversikt over kongresser, møter ol. i medlemslandene, og lenker til farmasihistoriske nettsteder. Historiesiden inneholder utdrag og en del fullstendige artikler fra tidsskriftet Pharmacy History Austrailia. Inneholder også oversikten A Scandalously Short Introduction to the History of Pharmacy. Oversikt over selskapets virksomhet med mange lenker til de forskjellige tyske læresteder og til søkbare bibliografier. Oversikt over virksomheten med bibliografi. Oversikt over internasjonale farmasihistoriske nettsteder, på tysk og engelsk. Oversikt over farmasihistoriske aktiviteter i USA, med mange internasjonale lenker. Svensk oversikt over farmasihistoriske museer i alle land. Videre mye svensk farmasihistorisk materiale. Siden inneholder en fagwiki med generelt farmasihistorisk stoff og bildemateriale. Tysk og tyskspråklig oversikt over legeplanter og bruk av disse, overveiende på den mytiske og magiske side. Inneholder et rikt materiale med historiske og litterære henvisninger.